Gorenje Home Interior programs follow relentlessly the design vision of the Gorenje Group. 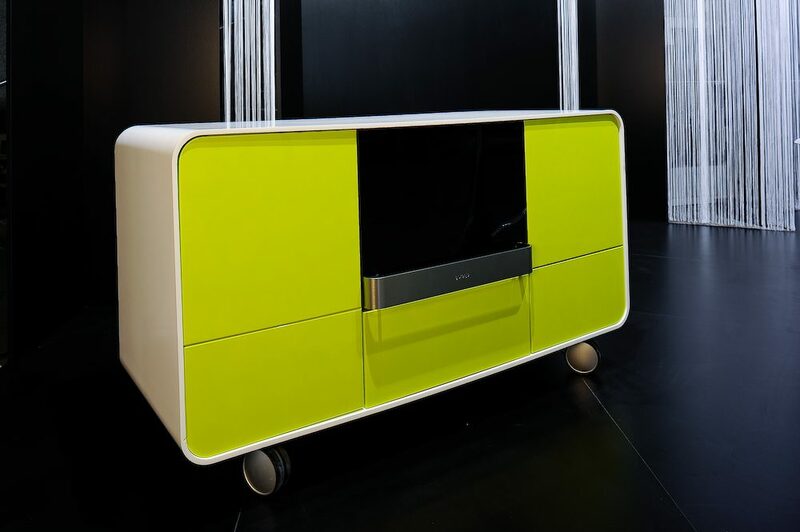 At this year's furniture fair in Ljubljana, the selection of presented products also included superiorly designed kitchen ambiances that undoubtedly keep pace with the global trends. 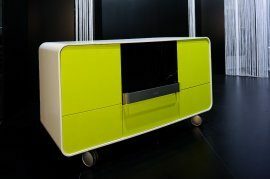 The international professional jury at the fair was impressed the most by the Compact XL kitchen that also made the TOP 10 – ten best designs of the 2008 Ljubljana Furniture Fair. 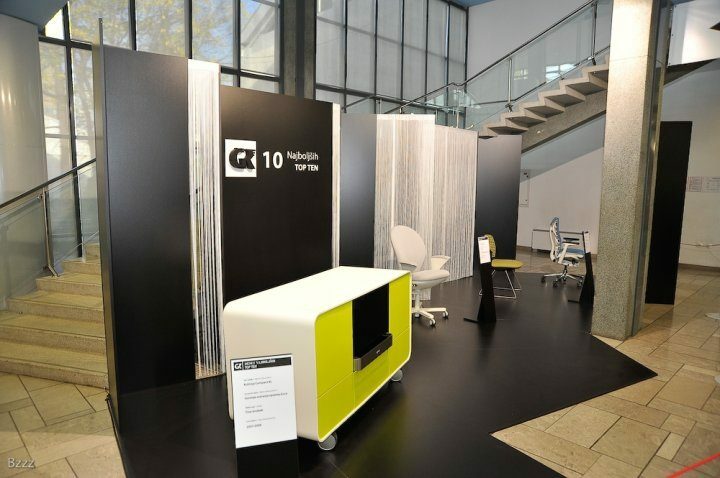 Furthermore, the concept was awarded the prestigious Golden Tie Award presented by the Wood processing Association of the Chamber of Commerce and Industry of Slovenia in cooperation with Ljubljana Exhibition and Convention Centre. The award-winning Compact XL kitchen is displayed in Gorenje's exhibition area in Hall B. "The Compact XL compact kitchen is designed to suit the contemporary lifestyle of a successful individual or a young family looking to adjust their home to their preferences, freely and loosely," said Mrs. Tina Jerabek, a designer with the Gorenje Design Studio, upon receiving the award. 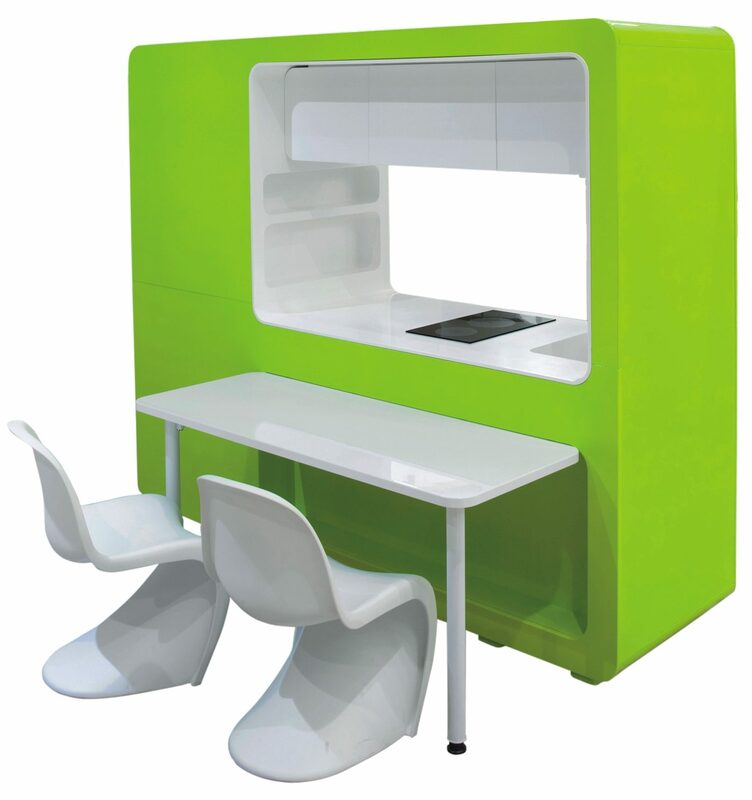 COMPACT XL is a mini kitchen with numerous options of application. Its design allows placing it against the wall as a conventional kitchen, or letting it float freely in an open space, combining the function of the kitchen with that of a dining room. The kitchen side with built-in household appliances of the Gorenje Ora-Ïto Collection allows fast and simple preparation of food, while the rear side features a lift-up table that quickly creates a comfortable dining area. The basic model of the kitchen also offers several options of upgrade as well as an additional freestanding mobile kitchen block. "With all displayed Gorenje products and programs, the accent was placed on design, quality of materials, and technological improvements. The displayed kitchens particularly stress the synergy between household appliances and kitchen furniture as their design is focused on mutual harmony while observing the ergonomic and functional requirements that a kitchen should meet," said Mr. Gregor Verbič, head of Gorenje Home Interior. The products selected for presentation at the fair include kitchens with Gorenje built-in household appliances, bathrooms, ceramic tiles, living rooms, and bedrooms. Today, lifestyles tend t change more rapidly than they used to. Changes in lifestyle can also be seen in the contemporary approach to the layout of rooms and the culture of living. Kitchens are becoming an open and connected living space integrated into the living areas where family and friends gather and socialize. Bathroom, too, is becoming a newly discovered space embellished with appealing and functional details. For Gorenje as a manufacturer of products for the home, it is very important to be ever watchful of such changes, perceiving them and responding to them swiftly, with original, superiorly designed and technologically perfected user-friendly solutions. Compact XL is a mini kitchen with countless options of use. It is designed to suit the contemporary lifestyle of a successful individual or a young family looking to adjust their home to their preferences, freely and loosely. It creates a fresh and dynamic ambiance in a modern home, reflecting an active and vibrant lifestyle of its dweller. Compact XL is designed to allow placing it against the wall as a conventional kitchen, or to float freely in an open space, combining the function of the kitchen with that of a dining room. The kitchen side with built-in household appliances of the Gorenje Ora-Ïto Collection allows fast and simple preparation of food, while the rear side features a lift-up table that quickly creates a comfortable dining area. The selection of household appliances is adapted to the contemporary, rapid lifestyle of a young individual or a family. The combined refrigerator / freezer, dishwasher, mini glass ceramic cooking hob, and a microwave oven make a perfect combination that will meet any need of a modern urban user. The kitchen with hollow walls and storage room in the lower part provides ample space for storing kitchenware, food, and detergents. The lower elements are organized as deep drawers and an internal, hidden drawer for storing flatware. The basic kitchen model offers several options of upgrade as well as an additional freestanding mobile kitchen block. The Compact XL kitchen features pure lines, softened at the corners, a compact "box" shape, and push-pull system for opening the handle-less furniture elements. It is available in a wide range of popular trendy colours. Colonization of lofts, abandoned industrial facilities and attics in historical town centres actually offers and calls for new forms of organization of the living space. The Compact XL kitchen is perfectly suited for the apartments that elude the conventional floor plan or layout.